Finally start your scuba dive career with the first step: PADI divemaster. You can already start your PADI Dive master training after 40 logged dives. In addition you need to have completed all courses up to the Rescue Diver course. Or you can also do your Padi divemaster training as part of an Internship. 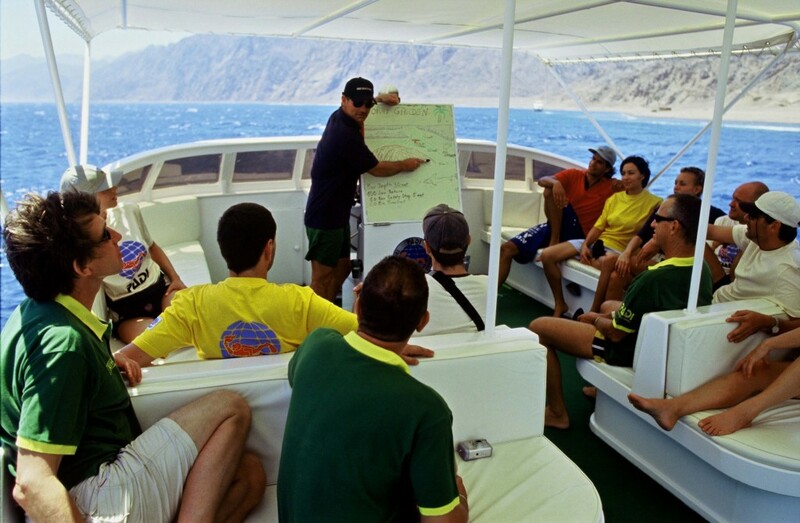 Because you will be working closely with our PADI scuba diving instructor, you will expand your dive knowledge. This results also in improving your dive skills to the professional level. The best part of the PADI Pro course is learning to help student divers overcome diving difficulties. PADI Dive masters are also qualified to supervise and assist with both training and non training dive activities. Therefore dive centers and resorts around the world use PADI Dive masters to assist with dive classes and guide under water tours. Furthermore PADI Dive masters may also conduct the PADI Discover Local Diving experiences and Scuba Review programs for certified divers. They may also conduct the PADI Discover Snorkeling experience and the PADI Skin Diver course. When you have already all your own gear. Therefore you will get a strongly reduced price. You also need to have at least 40 logged dives. Therefore this PADI Dive master Course is a shorter course, but not an internship. Therefore it is especially useful for divers with a lot of diving experience and own dive gear. PADI course materials and dive gear are not included. You can however buy them with us at a 20% discounted rate. Not included are the divemaster fees to PADI. Because this is a longer PADI scuba diving course, you will learn more about real life dive mastering. You will also get more dives in and therefore more hands on experience. Minimum amount of dives you need to have before you start: 40 dives. PADI Deep Specialty Course (because after this you can dive until 40 meter!). Padi Search & Recovery Specialty Course. NEW:PADI Emergency Oxygen Provider Course. NEW:Shark AWAREness Distinct Specialty Diver Course. PADI Nitrox/Enriched Air Specialty Diver Course. Padi Digital Underwater Photography Specialty Diver Course. PADI Underwater Navigator Specialty Diver Course. Peak Performance Buoyancy Specialty Diver Course. Course Duration: 3 – 12 weeks. Previous Dive Experience: rescue diver. Valid First Aid certificate, including refresher within 2 years. Languages: English, German, Dutch and Thai. Especially this season Andaman dive adventure has a special promotion. Furthermore to fit into this special promotion, you need to be older then 18 years and a rescue diver already. Secondly you will need to have or buy all your own diving gear and have at least 40 logged dives. First of all you will learn to be a Padi divemaster and emergency management. Secondly you will learn how to assist with Padi dive courses and how to help divers overcome problems. Lastly we will try to perfect your navigation and dive planning. This is a shorter course, so no diving internship. Everything under: ‘During the course you will learn’. Extra dives outside this package. Diving gear (bcd, regulator, fins, mask, snorkel, dive computer, compass, wetsuit, white slate, rattle, whistle bcd, dive knife). Padi fees for the application and membership.